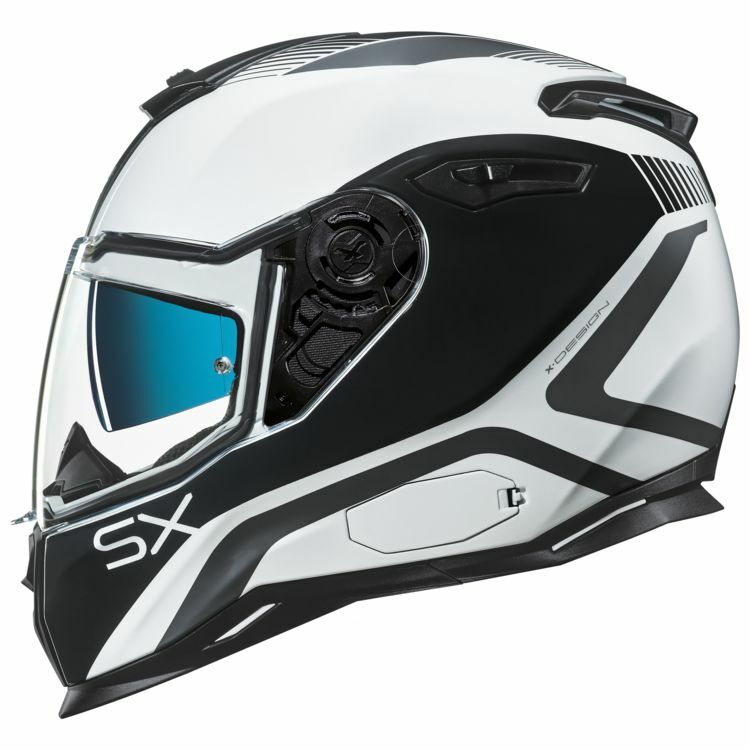 The Nexx SX100 helmet is purpose built for touring and commuting with its drop down internal sun visor, large eye port and adjustable venting. It can tackle the daily commute or extended tour with ease. Stay in touch by adding in the optional Nexx X-Com BT system (sold separately).